It’s that time of year again – the time of year when we’re pressured into making meaningless New Year’s resolutions – ones we break before we’ve even recovered from our festive hangover. But apparently, according to an American survey, the number of us ringing in the New Year by making financial resolutions is on the rise. It seems financial New Year’s resolutions are superseding the usual drink-less-exercise-more type ones, and the good news is, they are much easier to keep. Are these what you’re focusing on too? Enjoy better returns in 2017? 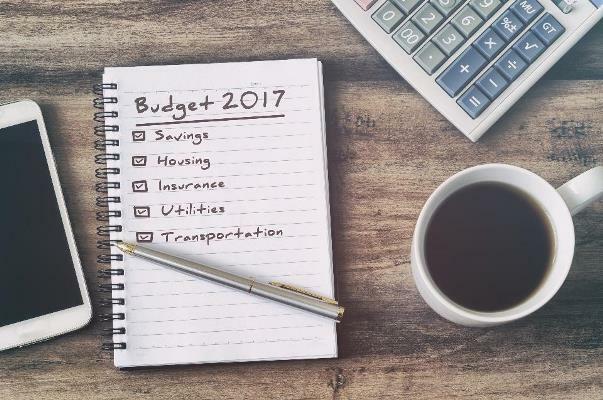 No matter what your specific financial resolution, I’ve come up with five steps to enable your improved fiscal fitness in 2017. When did you last take the time to get a solid overview of your current financial position? It’s a sensible step to periodically review where you’re at with everything from your debt to your expenditure, from your short-term savings to your longer-term investments. Do you know how much debt you have and what interest rate you’re paying on it? Could you negotiate a better rate, or benefit from a balance transfer? Is your emergency fund sufficient? And is it suitably protected from the erosive effects of inflation? Have your pension contributions kept up with your earning power, or has your spending kept up with your earning power? Do you need to increase one and decrease the other? I know this is money management basics, but it’s essentials to have a clear overview of your financial position in order to make improvements to your fiscal fitness in 2017 and beyond. There’s little point saving and investing when you have large debts incurring high interest rates – and yet that’s exactly what most people try and do. It’s just juggling money and getting nowhere fast. Try and cut your interest rates on debt as much as you can, then pay down debt as fast as you can. At the same time, cut superfluous spending. We expats are absolutely notorious for spending everything we earn…and more. It’s because we want to experience everything our new location can offer, and because we work hard and want to enjoy the fruits of our labour. But spending hard today comes at the cost of your future. If you really are committed to improving your financial fitness from today onwards, focus on cutting debt and non-essential spending first. In the case of potentially improving your investment returns, you may actually be able to do just that. We will give your savings, investment or pension portfolio a review; it will cost you nothing, and it will examine exactly what you’re paying to be invested, and where and how you can cut your costs. Not only that, but it will benchmark your performance to date and tell you how you can improve it, and give you suggestions for alternative solutions if you want greater flexibility in terms of access to your wealth. In every case, any suggestions we make for the improvement of your bottom line will cost you nothing to implement. So, if you check your portfolio’s health with our free review service, you may well get something in the form of better returns and lower costs for nothing...it’s free and obligation free. 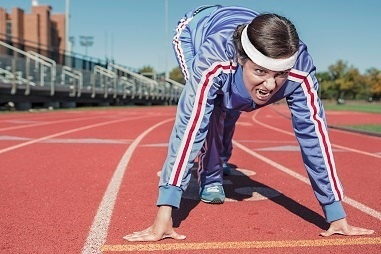 Just like when many of us head back to the gym after the indulgences of the festive season, and we set ourselves fitness goals for the year ahead, so it helps improve your financial position if you set yourself monetary goals. Whether you want to increase your retirement fund, work towards affording to give up working so hard, or perhaps raise enough to buy a property, setting goals will enable you to structure a financial plan in order to achieve your ambitions. If you don’t decide what you’re saving or investing for, you’re far less likely to succeed, and far more likely to go off track, get distracted, give up and waste opportunities. 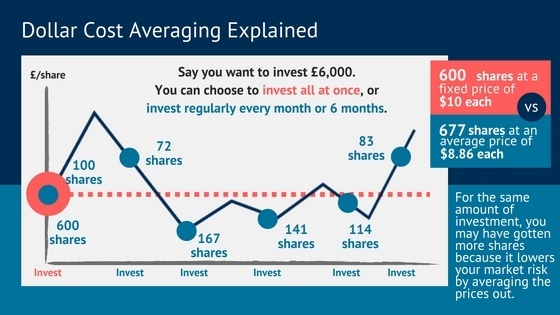 When it comes to investing – whether that’s into a pension or via an index fund for example – the power of dollar cost averaging combined with consistency will deliver you the best results possible. Those who try and time the market and throw all their money in in one go may do well…but they are also the sort of investors who buy high and pull out as a market is falling, losing any returns they’ve already accrued. These people are called average investors – i.e., this behaviour model is actually what most people follow. Instead, for a financially fitter you in 2017 know that those investors who do well commit to putting in an amount of money each month, every month, month after month. Dollar cost averaging is a neat name for this very simple investment technique where you buy a fixed dollar (or any currency) amount of a particular investment on a regular basis, regardless of the underlying share price. Naturally, you buy more when prices are low, and less when prices are high, but over time your investment averages out, and so do your healthy returns. If you commit to this approach and you choose a low cost index fund so you don’t even have to try and guess what to invest in, you avoid listening to market noise, scary financial news and speculation about the next big thing, your consistent approach will reap you the rewards you’re hoping for. Just like it can help you get physically fitter if you have a personal trainer or a friend who will accompany you to the gym, it can help to have support when focusing on financial fitness. We will continue to send you motivational and informative posts throughout 2017 to keep you on track to a financially fitter you! We also welcome your suggestions about topics you’d like us to cover to help you. Get in touch if we can help and subscribe to our blog to get regular updates. We can also offer you a free portfolio health check, and as described above it will detail exactly where you may be able to cut costs, and how you can improve your returns. It’s fee and obligation free, and if you only do one thing in 2017 towards improving your financial fitness, make sure it’s this. Finally, our fee-based Chartered financial planning service can help you get a complete understanding of your current financial position, work out your fiscal goals, and assist with developing and maintaining the investment strategies that will enable you to achieve your ambitions. 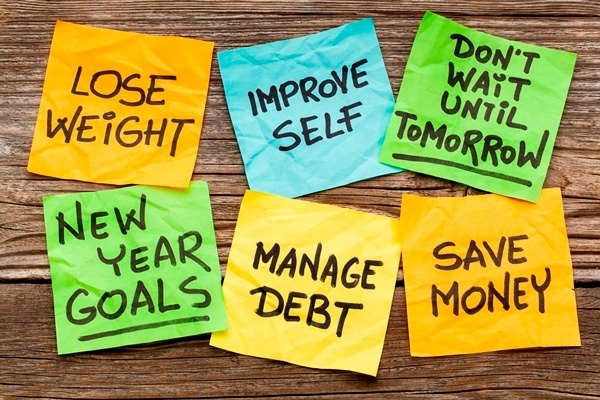 If you’re still not entirely convinced at the thought of making financial resolutions, the survey I cited at the start of this article found that of those who made financial resolutions, all were more optimistic, had less debt and were more financially secure than those who did not make financial resolutions.